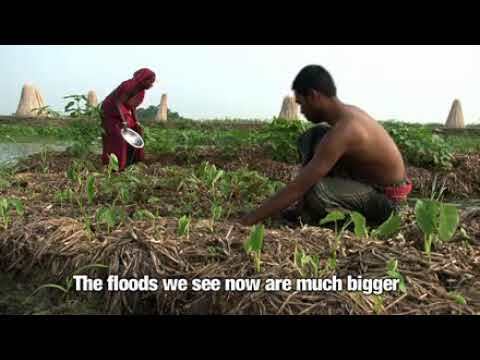 Much of the farmland in Bangladesh is underwater for six months of the year, and farmers say it’s getting worse as weather patterns become more severe. What started as an ingenious practice to grow vegetables on floating hyacinth beds (“floating gardens”) has become a literal life raft for farmers, who bring their families, belongings and animals to float on the beds during the worst of the rains. “Floating Gardens” is produced by IRIN Films in partnership with the United Nations Environment Programme.